To formulate / review procedures in responding to incidents. To report ICT security Incidents. To respond to report of ICT Security incidents. To identify and inform relevant personnel on incidents based on need to know basis. To collect and analyse forensic evidence. To write reports on incidents and propose the next course of action. Lodge police report for legal action. Patch systems and fix vulnerability. 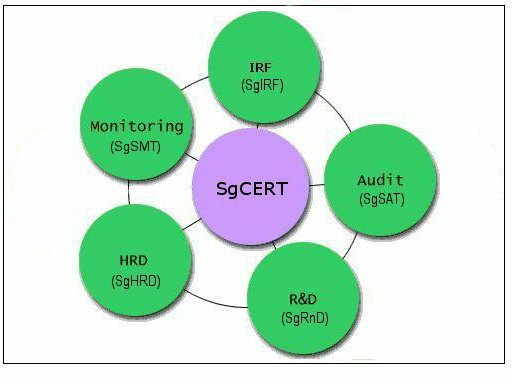 To formulate and review ICT security auditing and assessment procedures. To take pre-emptive actions to remove possible source of vulnerabilities based on Security Advisories received. To plan for security Enhancement. To register all ICT equipment / facilities / services. To evaluate security tools and propose recommendation. To study Systems / Network / Application Security improvement & propose recommendation. To create commercial ICT security products. To report new vulnerabilities found to vendors. To formulate and review training curriculum on ICT security. To plan, conduct and review ICT security awareness activities. To conduct regular ICT Security Training. To formulate and review ICT Security Monitoring procedures. To monitor and ensure Security Policy Compliance. To monitor and create Security Advisory. To monitor daily security logs. Copyright © 2015 State Computer Service Department. Best Viewed with 1024 x 768 resolution on IE8, Mozila Firefox, Google Chrome. DISCLAIMER: The administrator and operator of this website shall not be liable for any loss or damage caused by usage of any information obtained from this website.